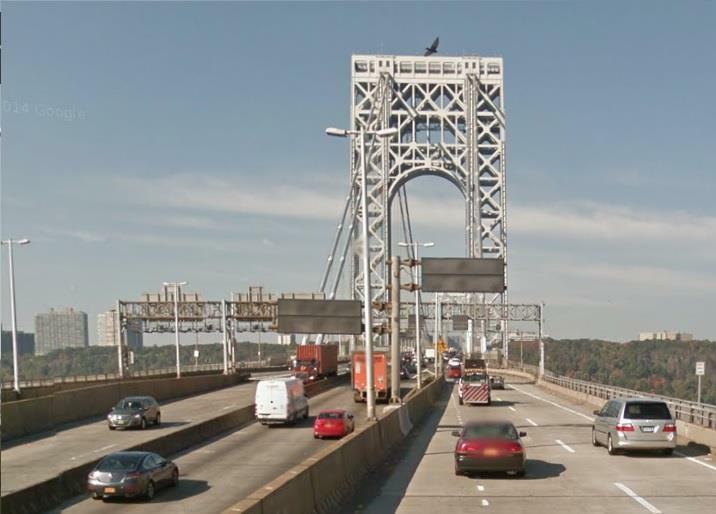 AEA provided electrical, power distribution and communication design for replacement of the existing VMS signs and travel time systems on existing sign structures along the approaches to George Washington Bridge for this high profile and mission critical project. Designed digital wireless and fiber optic communications to establish the field device communications to central monitoring system and integration into existing PAWANET network. Coordinated the communications design with Port Authority TSD and TRANSCOM. Designed the power distribution system including one line diagram, load calculation, voltage drop, conduit fill, panel boards and schedules, disconnect switches, equipment ratings, circuit breakers and overload protections, conductors sizing, construction plans, details, cost estimate and specifications and electric service coordination with utility company. This task was completed on an accelerated schedule so that the facilities are operational for use during super bowl game to monitor the traffic and notify the motoring public. AEA also performed sign lighting evaluations for static signs as part of this assignment.